Perfectly delicious! So much flavour with the skirt steak and Tapenade! A memorable sandwich for sure. The tapenade can be made without anchovies -it’s still amazing. I prefer using lemon zest in place of orange. It never hurts to drizzle on some extra fine olive oil. Rick Tramonto, one of America's most renowned and award-winning chefs and author of Amuse-Bouche, among other titles, now has written a cookbook showcasing the best of Italian cuisine, the food he grew up eating and has explored in depth on his extensive travels throughout the country. The little plates in Fantastico! 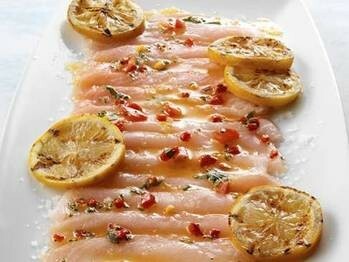 are all tempting, tasty dishes that can be mixed and matched for relaxed cooking and dining in true Italian style. Italians have traditionally enjoyed this small-plate way of eating and now Americans have caught on. Increasingly, restaurants specializing in this kind of experience have been opening across the country. With Fantastico! fans of Italian food have the opportunity to reproduce at home the irresistible dishes served at enotecas, osterias, trattorias, pizzerias, and ristorantes throughout Italy, for quick weeknight meals or innovative entertaining. Fantastico! is the ideal source for a stunning array of antipasti, assaggios, salumis, and cheeses, the perfect accompaniments to a variety of wines and surprising additions to everyday and formal meals. Tramonto's terrific recipes, accompanied by wine recommendations and his tips on buying the best ingredients, provide readers with the inspiration and the know-how they need to make a big impression by thinking small. The selection includes such festive recipes as Tramonto's Razor Clams Casino and Roasted Medjool Dates with Gorgonzola, Bacon, and Toasted Walnuts; innovative ideas for grilled breads with robust toppings (bruschetta) and little toasts with refined toppings (crostini); an extraordinary variety of panini, along with wonderful Venetian-style, open-faced mini-sandwiches (cicchetti); and a delightful assortment of simple-to-prepare dishes - including a spectacular canned tuna salad with a caper and herb vinaigrette - Tuna Conserva Cicchetti - that will enliven traditional antipasti platters and serve as the centerpiece of a light meal for family and friends. 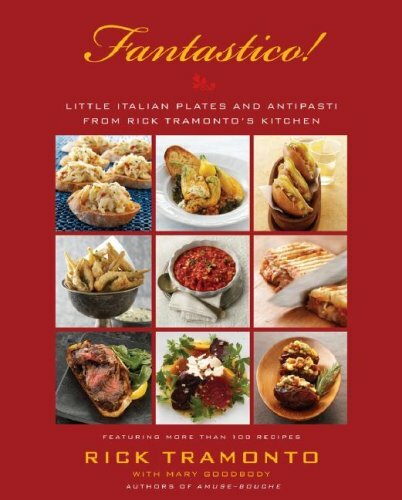 With more than 100 simple recipes and beautiful full-color photographs, Fantastico! will inspire anyone who loves the casual charm of Italian cooking.